The December (or is it January?) Biblioblog Carnival is up and through it I discovered that Chris Heard had this great post on using Hebrew with vowels on the iPad. Until recently, iPad-using Hebraists had no good options for typing Hebrew with vowels on the aforementioned iPads. Apple provides a Hebrew keyboard for the iPad, but it does not include the נְקֻדּוֹת. Recently, however, third-party developer Žiga Kranjec released Unicode Maps, an app with an unattractive name but a very attractive function. Unicode Maps allows you to look up and copy any Unicode glyph available on the iPad. Even better, you can create your own customized keyboard and type—but only on a notepad within Unicode Maps—using that keyboard. Go to his site for the whole rundown. 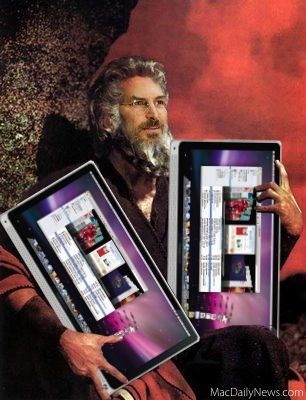 Mac User Advice – Nisus Writer or Mellel? I’m a relative iPad 2 newbie and would love to use this also. However, when I follow his steps meticulously it will not work for me. His instructions workedflawlesly for you I take it. I’ve tried to leave him several emails but hen I return to his site my moments disappear. I appreciate your blog and would appreciate even more articles on iPad for work and iPad for education. Please keep up the good work! I’m a relative iPad 2 newbie and would love to use this also. However, when I follow his steps meticulously it will not work for me. His instructions worked flawlessly for you I take it but not for me. I’ve tried to leave him several emails but hen I return to his site my comments disappear. Previous post Sacred Techs is up!